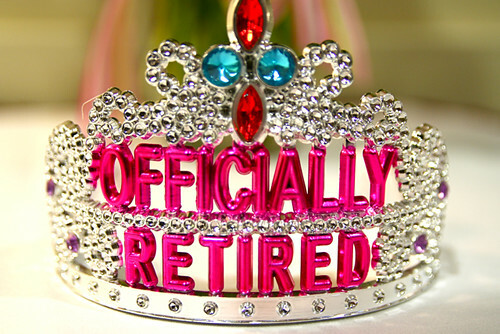 It is becoming increasingly difficult to plan for retirement these days. Bursting market bubbles, the possibility of hyper-inflation, increased healthcare costs, plummeting home values, and diminished retirement accounts are just a few of the factors that make the term â€˜retirement planning’ seem like some sort of cruel joke. But while it may be impossible to predict the future or consider every aspect of your retirement future, there are ways to prepare for a secure retirement that will still allow for maintaining a reasonable lifestyle. 1. Review Expenses: Reviewing expenses is key to knowing just what your retirement is going to cost you. Make a list of which expenses will still be there after you retire, which ones will decrease, and which will increase. Doing this can help you determine how much money you will need, where and how it should be invested, as well as how long that money needs to last you. 2. Understand Assets: The next step in preparing for retirement is learning truly to understand your assets. A critical part of this step is to be as honest and realistic regarding your investments as possible – even to err on the side of cautious pessimism. It’s better to find yourself with more money than you expected than less. Remember to factor in any applicable taxes or penalties when it comes to your retirement benefit’s payouts when you are reviewing your numbers. 3. Review Liquidity: Once you have a general understanding for what your retirement finances will look like, it’s a good idea to consider the liquidity of your assets. Sure, cars, homes, antiques, rare coins, government bonds, and certificates of deposit are all assets, but they might not be readily available when you retire. Consider how long it might take to turn these assets into cash and how much you may actually receive for them in an economic crunch. Estimated values are often different than the actual values you might receive from an car dealership, antique dealer, or when cashing in bonds or CDs before they mature. 4. Timeline: When planning for retirement, it is impossible to know exactly how long your golden years might last, however; it is a good idea to attempt to create a timeline of your financial future. Try to estimate when you plan to retire and how long you want your money to last. If you plan to work until you’re 80, you may not be too worried about your retirement funds running short, but if you are retiring at age 50, you might have some work to do. 5. Risk Assessment: Your timeline will factor into the amount of risk you are able to take on when it comes to your retirement investments. Planning for a longer retirement may allow for less risk in your investments, while a short retirement may allow you to take some chances with your money. 6. Diversification: Whether your retirement timeline is long or short, diversification of your investments will still likely come into play. Spreading your money across a number of investments will decrease the risk of loosing a large chunk of your retirement funds to a poor investment choice. Diversification will also likely provide a range of incomes and returns to better weather various economic conditions and swings. 7. Income Sources: Finally, when planning for retirement, it’s beneficial to factor in any miscellaneous income that might supplement your retirement funds. Whether you have a hobby that brings in a small side income or plan to work part time, this income can be an important part of your planned retirement lifestyle. This was a guest post written by Mark Brown who is writes about managing money for Credit Card Compare, an Australian comparison website where consumers can compare the best credit cards such as a choice of platinum credit card offers among many products.